For many people, Tuscany is one of the most impressive attractions in Italy. Scenic country roads, lined with olive groves and vineyards, combined with the historical delights of the region’s towns and cities to create something truly special. 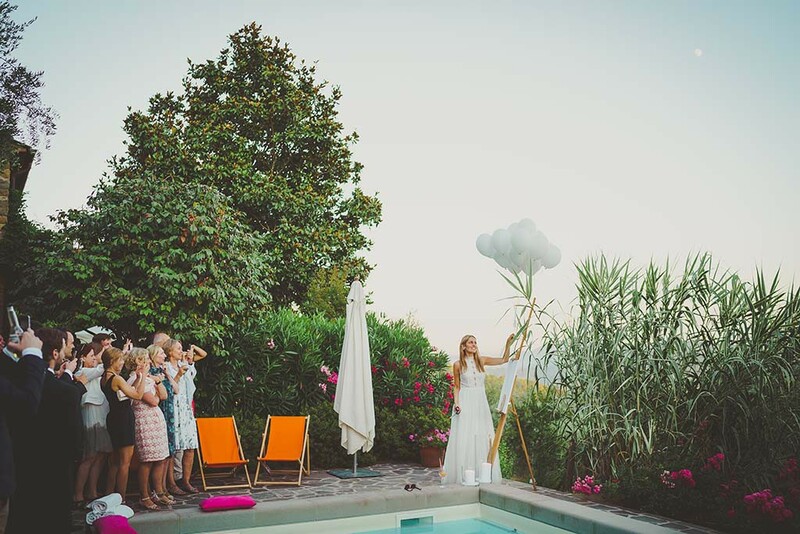 For their Mediterranean wedding, Anna and Felix chose a family-owned country house in the hills of Montecatini Terme, Tuscany. But before their celebrations at the venue, the couple made their vows in Florence. The wedding took place in the Evangelical Lutheran Church in Florence. Anna and Felix celebrated their marriage in the antique church with around 70 guests, who were brought from Montecatini to Florence on a morning shuttle. 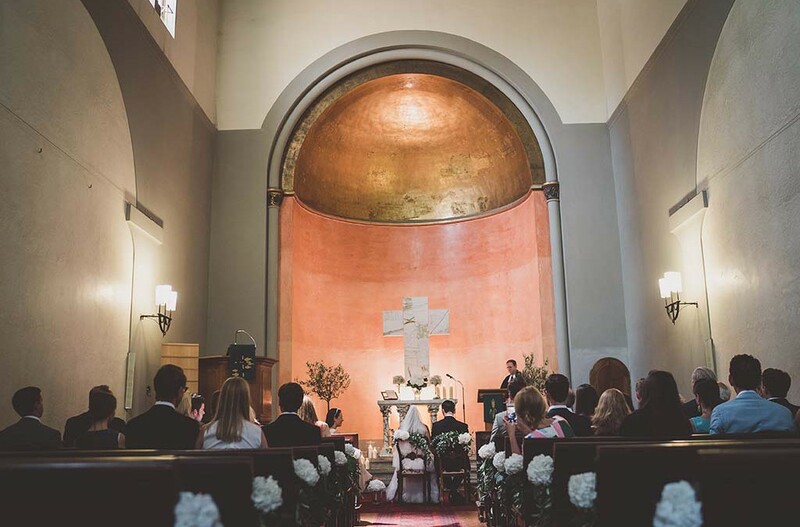 As midday approached, the wedding ceremony, which was conducted entirely in the couples native language – German- , took place in the Protestant Church in Florence. We decorated the Church with a selection of white flower bouquets. After the religious wedding ceremony in Florence the couple and their guests enjoyed aperitifs on the square in front of the Church, directly located on the river Arno. For the wedding photos the bride and groom went on a pleasant walk through the streets of Florence. The beautiful buildings of this ancient city provided a stunning backdrop for wedding photos. In fact, these backdrops were described beautifully in the literary works of Dante. In the afternoon, the guests were given a little time to relax and explore the spa town of Montecatini. 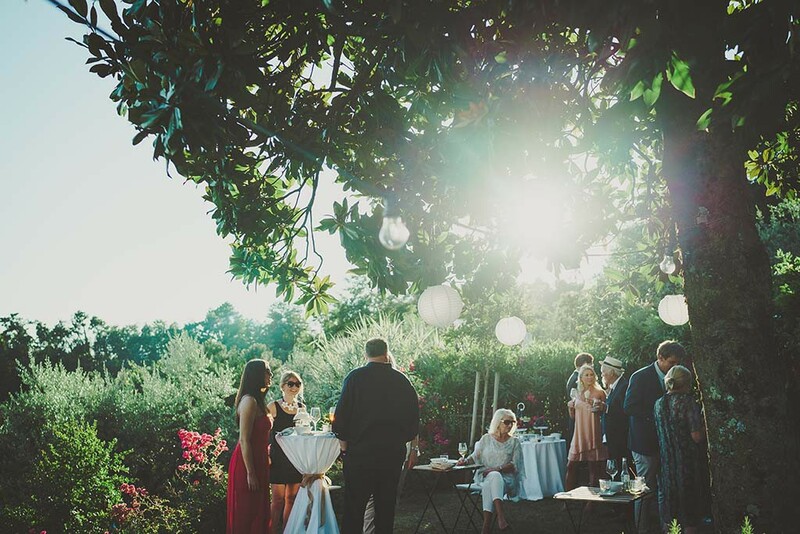 Anna and Felix, along with their guests, waited excitedly for sunset, at which time an antipasti buffet of olives, ham and regional salads was served in their private villa. A Tarantella band from the south of Italy played some traditional folk music — creating a typically Italian atmosphere for everyone to enjoy. 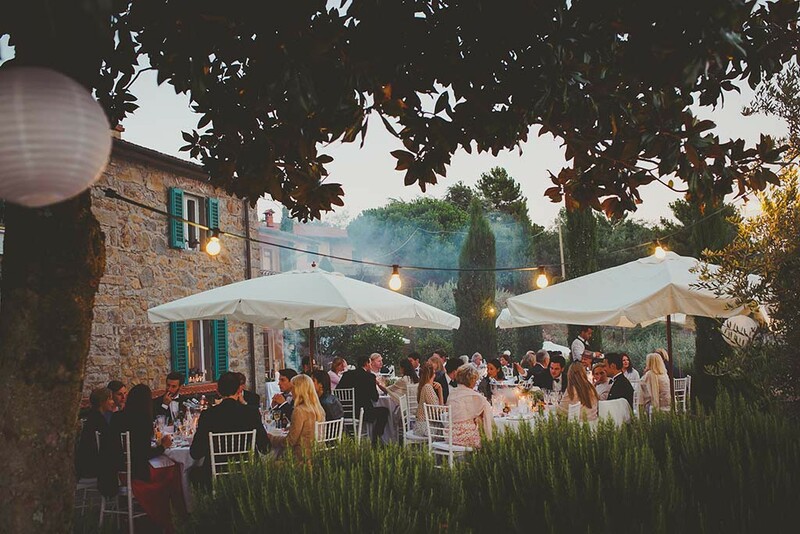 The dinner took place in the garden of the private country villa. 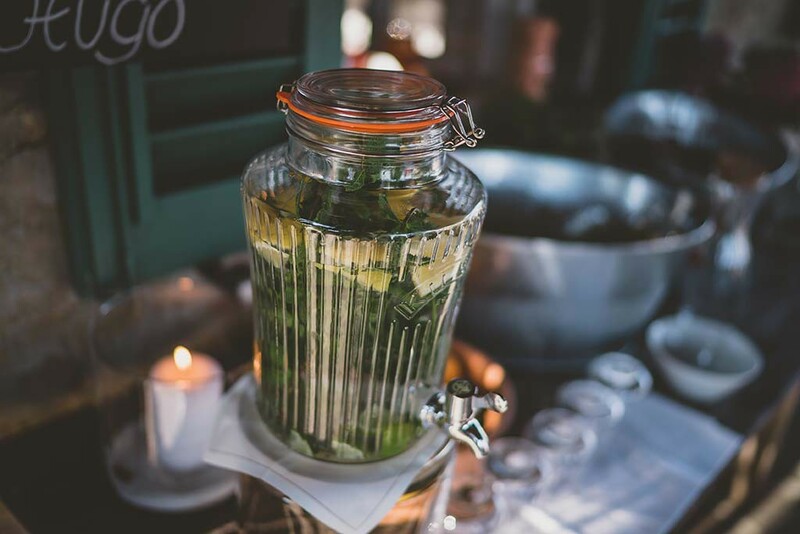 Among the special features available to the wedding guests was a cocktail bar. A trained bartender was available all night to mix cocktails. There was also a chill-out area by the pool, complete with sun loungers and hanging mats. This area was used by guests to relax while enjoying the incredible views. But there was also a great deal of dancing at Anna and Felix’s wedding. A DJ and Live music provided the perfect sounds for the occasion. 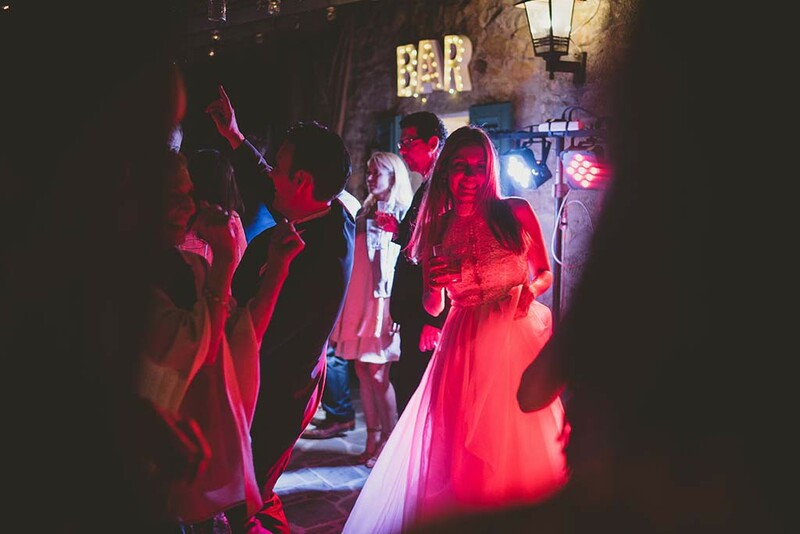 And the latest in lighting technology lit up the villa to create the ideal party atmosphere. And to keep everyone going, a midnight snack of minestrone soup packed with real vegetables was served. 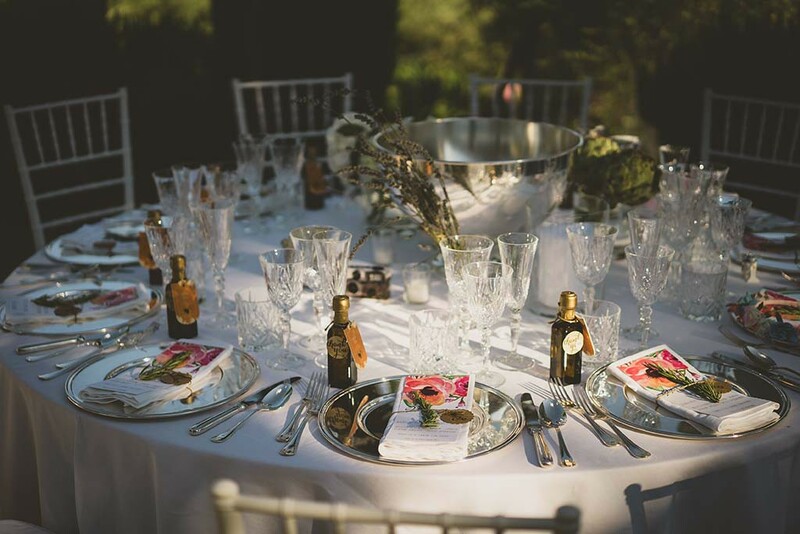 For all guests this Mediterranean wedding party in the Tuscan countryside was an unforgettable experience.